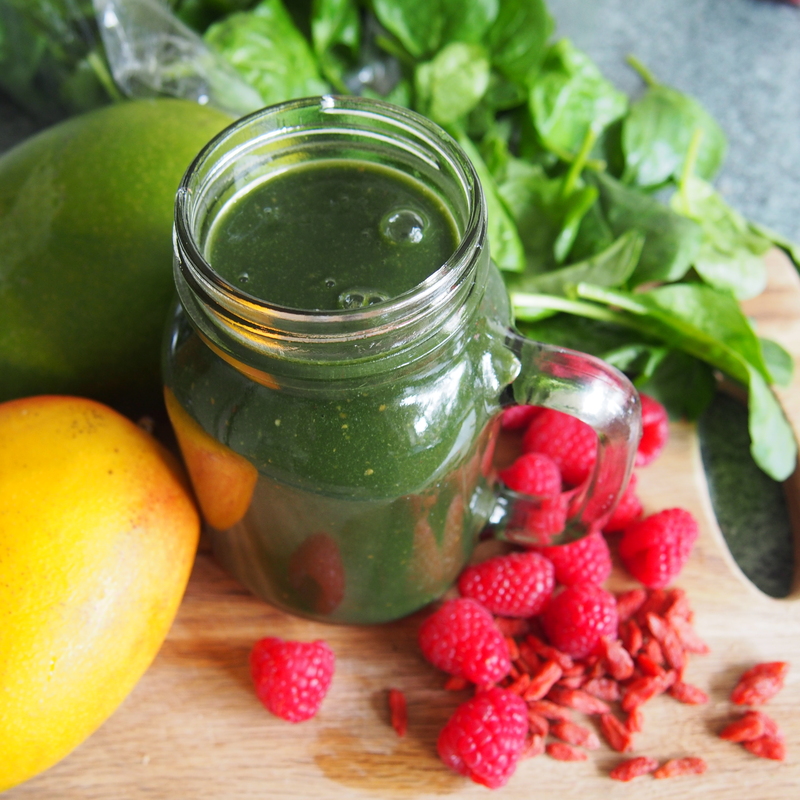 This has been my favourite smoothie in a long time, and with only a few ingredients. 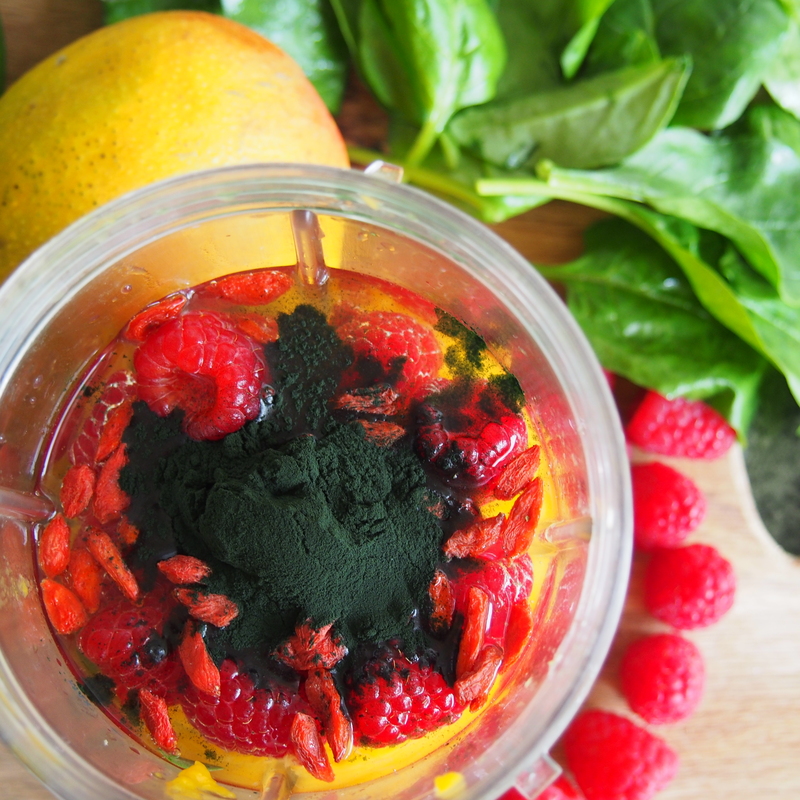 I love the deep green colour that comes out from all that spirulina, and which the other ingredients the flavour of the spirulina doesn’t overpower at all. And the added goji berries give another superfood boost. Place all ingredients in a blender, just covered over with water and blend until smooth. Drink straight away, add ice if you wish.